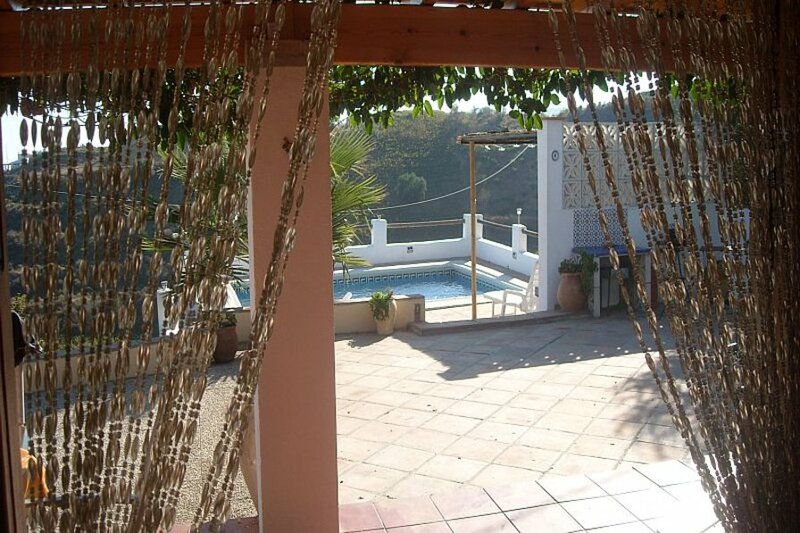 Luxury two bed apartment close to Puerto Bañus with great facilities. These apartments offer convenient location and comfortable facilities. The apartments have been recently furnished in a contemporary style with many extras to make sure you have a great holiday. The urbanisation is exceptionally located, just a short walk to all amenities including two super markets, restaurants, bars and of course the famous Puerto Jose Banus. 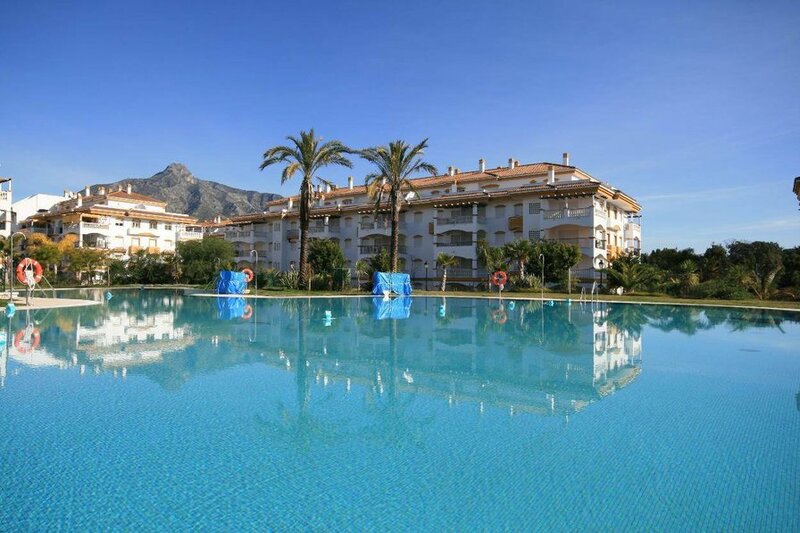 La Dama de Noche urbanisation is an incredibly well established residential complex. There are a number of outstanding facilities on site to include the 24 hour manned security, gated entrance and underground parking for extra security. The grounds are immaculate, with the beautifully scented flowers (of the same name Dama de Noche or Lady of the Night) which give of a sweet aroma during warm summer evenings. The grass and other plantations are stunning and tropical. The apartments themselves are built around two large outdoor swimming pools, which are surrounded by child safe fencing and with a lifeguard for added peace of mind. There are also paddle tennis facilities and a full 18 hole golf course on site. There are two bedrooms the master suite and a twin room with two bathrooms. 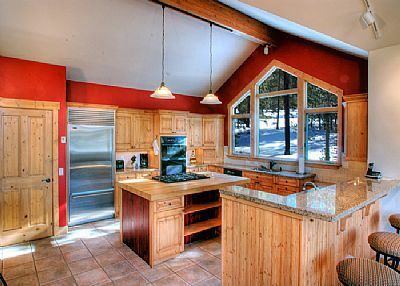 The kitchen is fully equipped for your stay with pots and pans , crockery, kettle and toaster. The lounge has a flat screen tv , full wi-fi and internet tv. 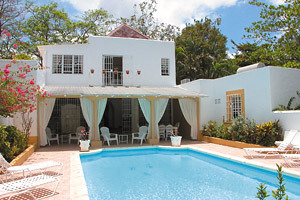 Enjoy some alfresco dining on the terrace or have a swim in one of the pools. The location is perfect for enjoying golf, the nightlife of buzzy Bañus and the fabulous bars and restaurants in the area.